There have been two particular instances where I have ended up proclaiming Kevin Durant as the ‘Best in the world’. The first was on February 28, 2016, when the Oklahoma City Thunder were pit up against the Golden State Warriors. The Thunder were up 1 late into the fourth quarter, looking for one more basket to put the game away. The Warriors initially played some great defense, but OKC knew who to go to so they could deliver the dagger. Durant drove, passed it to Ibaka in the corner, but Ibaka knew he wasn’t meant to finish this game off. Ibaka passed to Durant in the right wing after a pump fake, and KD let it fly. Splash. Both times, I wound up shouting ‘Best in the world!!!! !’ as if I was a freshly minted WWE champion ala CM Punk. For the longest time, Durant has tried his best to cross the line between #2 and #1. He was sick of being second, and these moments felt like he was finally going to end up on top. It was all just that, however, a feeling. Until now, Kevin Durant is still the consensus second best player in the world beside LeBron James. There are cases to be made to put James Harden or Steph Curry as second best, but for the most part, it’s still Durant. That’s testament to how good Durant is. Based solely on talent, Durant has a great case to be made as best in the world. He can literally play all five positions thanks to his unheard of blend of skill and physical gifts. Defenders will try to body him up, but he’ll maintain elite efficiency either way. He’s the ultimate cheat code. He’s one of the two most sure things in the NBA, an ultimate inevitable if you may. If LeBron can get 25-7-7 in his sleep, KD can score 27 points on more than 50 percent shooting. It’s quite the luxury to have someone like Kevin Durant. The real question we should be asking is, ‘Why isn’t Durant the best in the world yet?’ Why hasn’t he gotten over the hump and forced LeBron James to relinquish his title as the best player in the basketball? The answer to that is simple: consistency in the clutch. The issue has never been KD delivering in the clutch. The problem has been his consistency in these situations, which is a result of his mindset more than anything else. 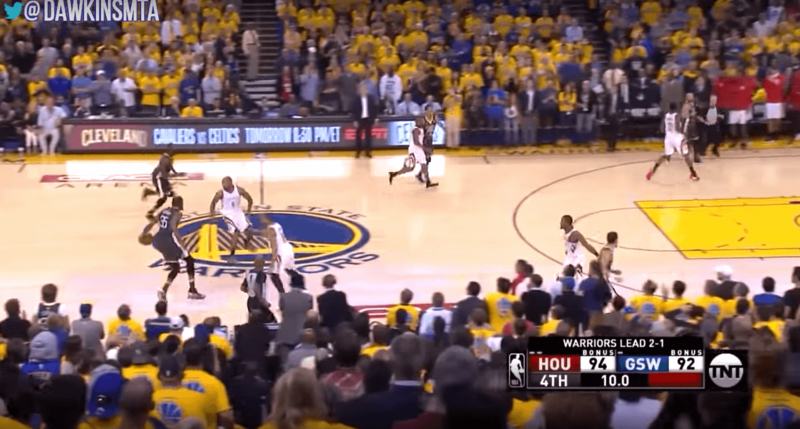 This was most evident during Game 6 of the 2016 Western Conference Finals as the Oklahoma City Thunder were trying to close out its series versus the Golden State Warriors. During the fourth quarter as Golden State was making its run to try and salvage its 73-9 season, OKC wound up playing ‘your turn my turn’ basketball. Fast forward to 2018 and Durant and his current team, the Golden State Warriors face the same problem. In Game 4 of the Western Conference Finals, the Warriors found themselves down by two with 12 seconds remaining. The ball was in KD’s hands after the rebound, an all too familiar situation for Golden State. It felt like Game 3 of the 2017 NBA Finals again. It was just that, however. A feeling. Reality painted us a completely different picture. 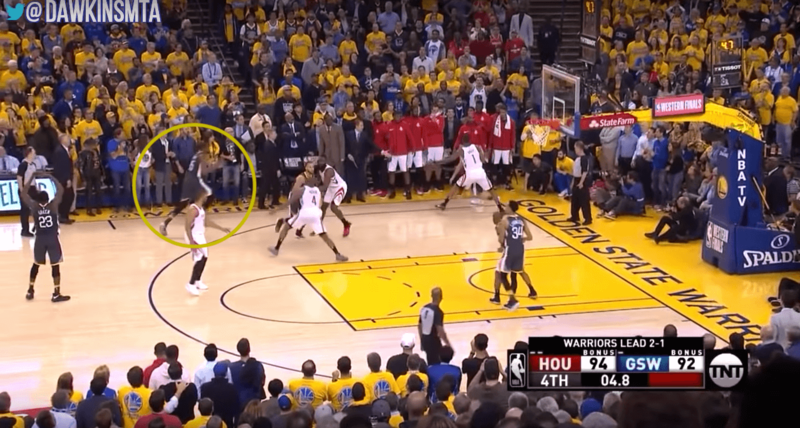 The issue in this play wasn’t just the drive to the left of Durant or even that Steve Kerr did not call a timeout. The problem was how right after Durant passed the ball to Thompson, he did not even bother passing it back to Durant. The pass wasn’t indecisiveness by Durant, but the situation was born out of his indecisiveness. It’s not just a KD problem when you think about it. It’s a Golden State Warriors problem, how they don’t have an alpha to go to when everything is falling to shambles. Oklahoma City then clearly embraced Durant as their main alpha. The Cleveland Cavaliers and the Heatles had LeBron James. These Golden State Warriors tried out Curry, but it’s clear he isn’t fit to be that guy to finish games when all else fails. You can’t rely on 35 footers every time right? 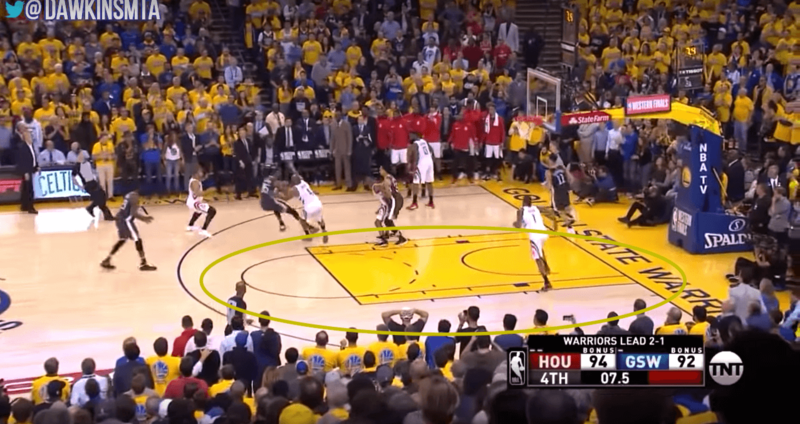 We saw that magnified in Game 5, when Golden State had numerous opportunities to deliver the dagger to Houston but they couldn’t. 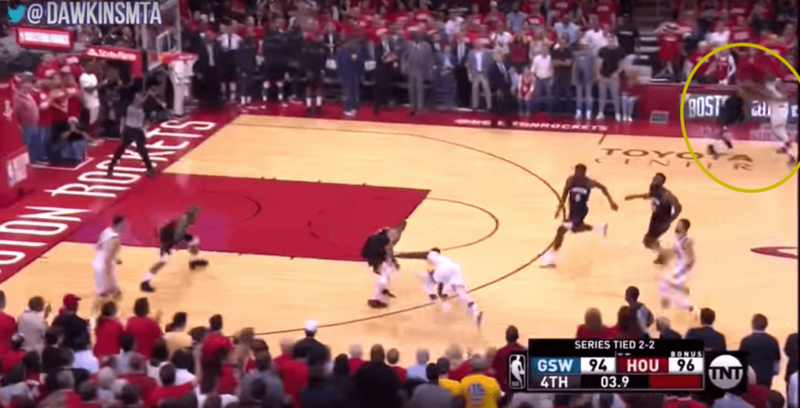 During Golden State’s final out of bounds play, Curry was the one who got the ball. There was something wrong, however. 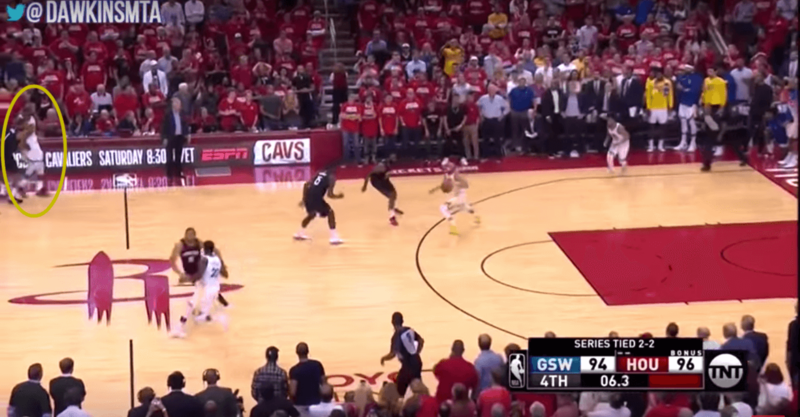 Number one, Curry was evidently rushing even though they still had six seconds left on the game clock. In basketball, that is A LOT of time. This then begs the question, “Why did you even recruit Kevin Durant?” He was supposed to be the guy who would get them out of situations like this. He’s a proven player in the clutch. But this it’s no longer just Golden State who’s at fault for not getting Durant the ball. Even KD has to have some responsibility in this whole debacle. Does he want to have the ball in the clutch, and can he show that he can embrace it on a consistent basis? ‘Your turn my turn’ basketball will never work. It paints a picture of two individuals controlling a system. It can’t be like that, there’s no organization to it. There has to be one guy at the very center of a system. Cleveland and Miami had LeBron, the Warriors have Curry. But the system changes in the clutch. That’s where Durant comes in. But, for some weird reason, Golden State doesn’t know it. KD knows it, but he hasn’t shown that he’s willing to bark at teammates to show that he can embrace the moment. It’s been a problem of Durant’s ever since: his maddening indecisiveness. His efficiency and good decision making are lauded on an almost daily basis. He’s an elite talent. But to get over the top and make his claim as best in the world, he has to get over this demon of indecisiveness of his. The only time he can truly make a claim as the best is if he’s able to exorcise this demon. The stage is set for him to do so in these critical games of the Western Conference Finals. Time for KD to embrace the pressure and the decisions he has to make in the clutch.